Cecelia Calista Holcombe was born say 1816. She was the daughter of Noadiah Norman Holcombe and Mary Loomis. Cecelia Calista Holcombe died on 22 October 1841. She was buried at Old Marcellus Village Cemetery, Marcellus, Onondaga Co., NY. Diadema Holcombe was born in 1754. She was the daughter of Jonathan Holcombe and Abigail Hillyer. Diadema Holcombe married Phineas Loomis, son of Eliakim Loomis and Mary Loomis, on 24 March 1774. Diadema Holcombe died on 26 February 1831. Phineas Loomis was born on 15 March 1744/45 at Windsor, Hartford Co., CT. He was the son of Eliakim Loomis and Mary Loomis. Phineas Loomis married Diadema Holcombe, daughter of Jonathan Holcombe and Abigail Hillyer, on 24 March 1774. Phineas Loomis died on 26 March 1810 at Burlington, Chittenden Co., VT, at age 65. [S137] Elisha Scott Loomis, Joseph Loomis, Page 176/Item 518. [S325] Lucius M. Boltwood, Thomas Noble, Page 390. Charles Dickens Holcombe was born on 2 December 1869 at Gordonsville, MN. He was the son of Chester Bingham Holcombe and Marianne Ward. Charles Dickens Holcombe married Victoria Frost, daughter of Charles Frost and Awilda McGrath, in 1890 at Albert Lea, MN. Charles Dickens Holcombe died on 24 September 1926 at Roseau, MN, at age 56. Information on Chester and his descendants from Wade G. Holcomb, New Haven, CT.
Information provided via gedcom from Wade Gladstone Holcombe. Wade Archie served in the Navy 1915-1920. Wade and Anne were enumerated in the 1930 Chicago, Cook Co., IL, federal census. He was an engineer, age 36, she was 31. Children in the household were Wade 8, Charles 6, and Aimee 3. [S182] Social Security Death Index (on-line), Ancestry.com, SSDI, Ancestry.com, SSAN 350-03-5593. Wade had an amateur FCC license and when he entered the Navy at age 17 years, 2 months, he skipped early ratings. He served in the US Navy on active duty from Nov 1940 to Nov 1945 and from May 1951 to Jan. 1954, all in electronics, radio, radar work. He proudly served on a 'four-stacker" USS Crosby DD 164. He was attached to Yale from 1966 to 1988 doing support electronics work in Surgery and magnetic Imaging Resonance. He is co-author or author of 50 papers in these technical fields. He is the senior inventor of the "breathing pacemaker", assigned to Yale in 1973. He was an amateur radio operator since 1938, a computer hobbyest and a genealogist. In 1975 he rode a 10 speed bike from Internatinal Falls MN to Waterloo, Iowa, checking graveyards and visiting relatives. [S182] Social Security Death Index (on-line), Ancestry.com, SSDI, Ancestry.com, SSAN 545-36-7498. Molly was descended from original New Haven settler Thomas Munson. She was a graduate of Pomona College, class of 1941, and received her Master's Degree in Art History from UCLA. She worked in the Art and Architecture Library at Yale for eighteen years and belonged to Trinity Church on the Green. A member of the League of Women Voters for over 60 years, she was a long-term officer on the Board of Directors of the local league. She joined the Girl Scouts in 1931 and was a lifetime member, serving as a leader and program consultant. She met Wade in 1944 while volunteering in the USO in Carmel, California. [S182] Social Security Death Index (on-line), Ancestry.com, SSDI, Ancestry.com, SSAN 565-30-3244. Artemisa Holcombe was the daughter of Jonathan Holcombe and Abigail Hillyer. [S807] Find A Grave, online http://www.findagrave.com, memorial # 32955788. [S336] Ancestry.com, Massachusetts, Town and Vital Records, 1620-1988. [S336] Ancestry.com, Vermont, Vital Records, 1720-1908. [S807] Find A Grave, online http://www.findagrave.com, memorial # 32955757. Jonathan enlisted from Sheffield, Berrkshire Co., MA, as a fifer at the age of fifteen. He was a pensioner when he died n Warren county, Ohio. [S23] Jesse Seaver, The Holcomb(e) Genealogy, Page 63-5. [S104] DAR DAR Lineage book, Vol. XIV:Pg. 115/Item 13304; Vol. CXII:Pg. 313/Item 111981. [S25] Hannah McPherson, Holcombe Genealogy, Page 194.2/Item A-8-3-3-1-5. Hannah Everest was born on 22 March 1771. She married Dr. Jonathan Holcombe, son of Jonathan Holcombe and Abigail Hillyer, on 10 September 1786. Hannah Everest died on 30 December 1857 at age 86. Pythagoras Everest Holcombe was born on 7 February 1787. He was the son of Dr. Jonathan Holcombe and Hannah Everest. Pythagoras Everest Holcombe died on 4 February 1814 at age 26. Pentheus James Holcombe was born on 24 October 1788. He was the son of Dr. Jonathan Holcombe and Hannah Everest. Pentheus James Holcombe married Ruth Ann Francisco in September 1816. Pentheus James Holcombe died on 30 March 1865 at age 76. Pentheus and Ruth were enumerated in the 1850 Bond Co., IL, federal census (stamped page 386). He was a farmer age 61, she was 52. The only child in the household was Lucy, 12. Ruth Ann Francisco was born circa 1797 at NY.1 She married Pentheus James Holcombe, son of Dr. Jonathan Holcombe and Hannah Everest, in September 1816. Partheus Richard Holcombe was born on 24 July 1792 at Paramus, NY. He was the son of Dr. Jonathan Holcombe and Hannah Everest. 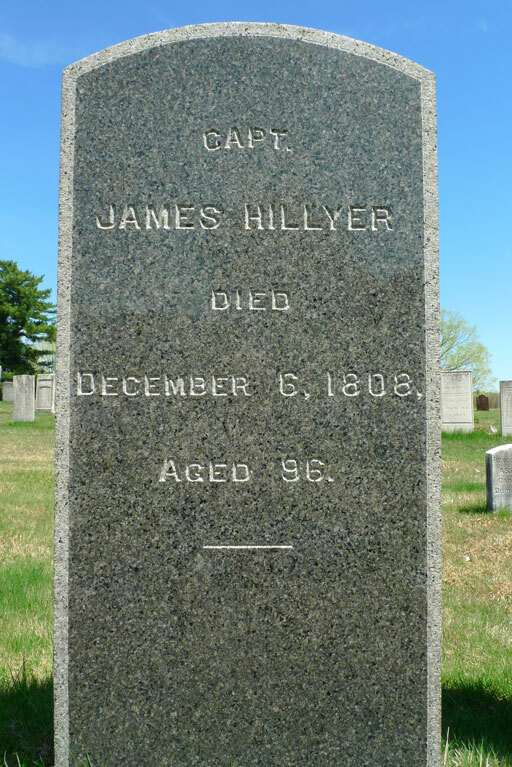 Penthria Hillyer Holcombe was born on 22 December 1790 at Paramus, Bergen Co., NJ. She was the daughter of Dr. Jonathan Holcombe and Hannah Everest. [S25] Hannah McPherson, Holcombe Genealogy, Page 195.1/Item A-8-3-3-1-5-3. [S104] DAR DAR Lineage book, Vol. CXII:Pg 313/Item 111981. Jonathan Albinus Holcombe was born on 1 March 1797 at Athens, Bradford Co., PA. He was the son of Dr. Jonathan Holcombe and Hannah Everest. Althea Hannah Holcombe was born on 17 June 1799. She was the daughter of Dr. Jonathan Holcombe and Hannah Everest. Hannah Althea Holcombe was born on 3 February 1801 at Athens, Bradford Co., PA. She was the daughter of Dr. Jonathan Holcombe and Hannah Everest. Hannah Althea Holcombe married Orange Gaylord, son of Lemuel Gaylord and Sylvia Murray, on 27 December 1820 at Deerfield Twp., Warren Co., OH. Hannah Althea Holcombe married William Leitch. Hannah Althea Holcombe died on 26 October 1896 at Hamilton, Butler Co., OH, at age 95. Mrs. Hannah Leitch, mother of Mrs. Emily VanDerveer, died at 6:30 o'clock last night at Mrs. VanDerveer's residence on South D Street at the advanced age of 95 years 8 months and 25 days. About two years ago Mrs. Leitch had a severe attack of grippe and at that time it was thought she would die but she rallied with wonderful vitality although the illness weakened her greatly. Las Saturday she contracted a severe cold but was thought to be getting along nicely and yesterday evening she appeared unusually bright and active. About 6 o'clock she laid down on her bed and asked her granddaughter, Mrs. Charles Hilker to hand her a handkerchief from a dresser nearby. While Mrs. Hilker turned to get the handkerchief Mrs. Leitch died. At the time of her death Mrs. Leitch was the oldest woman in Butler County. She was a daughter of Dr. Jonathan Holcomb who was born in Weffield County[sic], Mass., in 1762, graduated at Yale college, practiced medicine in Pannsylvania and afterwards removed to Warren County, Ohio, where he died in 1847. His daughter Hannah Holcomb was born near Chichican on the Susquehana river in Pennsylvania, February 3, 1801. When she was 9 years old the family removed to St. Albans, Vermont, and 1814 came to Ohio where they settled in Deerfield township, Warren County and where on December 27, 1820 she was married to George[sic] Gaylord. After her marriage she and her husband lived at theold homestead for some time and then removed to Montgomery and then to St. Louis and afterwards to Jacksonville where they lived for several years. Tehn then planned to remove to a farm in northern Illinois. It was necessary to come to Cincinnati for supplies and they began this trip on a flat boat, but at St. Louis Mr. Gaylord became ill and died. His wife, with her four children, returned to Mason, Warren county, where some of her relatives resided. These children were Noah Murray, Lafayette, Laura Adeline and Emily Minerva, the latter of whom Mrs. VanDerver alone survives. Mrs. Gaylord lived four years as a widdow and was then married to Wm. Leitch, of Lockland. 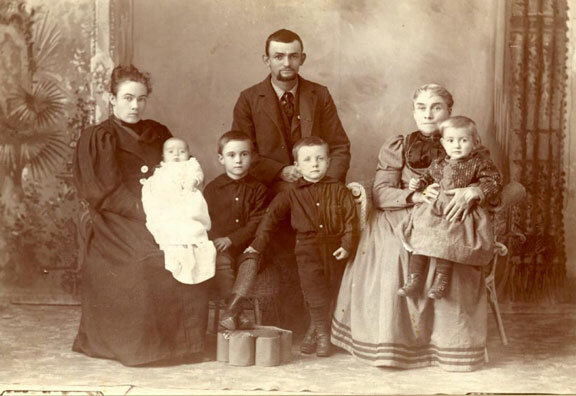 During their residence at Lockland they had two children, Wm. Penthens adn Julia Pierce, the latter of whom is living. From Lockland Mr. Leitch moved his family to Mason where he was engaged in business for eighteen years. Three children were born to them at Mason, George Washington, Rosa Angeline and Elvira Josephine. George is now living at Dell. Wis. Several years after Mr. Leitch's death Mrs. Leitch came to this city and made her home with Mrs. VanDerveer. She lived a long and eventful life characterized by gentleness, devotion and all the finer virtues. With her dies another of the pioners of the region. The funeral will take place at 2 o'clock Friday afternoon from Mrs. VanDerveer's residence. Rev. E. W. Abbey will conduct the services. The pall bearers will be Thomas Millikin, Dr. Mallory, Isaac Robertson, and Charles Fox. The burial will be private. [S25] Hannah McPherson, Holcombe Genealogy, Page 195.2/Item A-8-3-3-1-5-7. [S104] DAR DAR Lineage book, Vol. XIV:Pg. 115/Item 13304. William Leitch married Hannah Althea Holcombe, daughter of Dr. Jonathan Holcombe and Hannah Everest. William Leitch died in 1855. David Hartley Holcombe was born on 2 February 1803. He was the son of Dr. Jonathan Holcombe and Hannah Everest. Caleb Benton Holcombe was born on 11 October 1805. He was the son of Dr. Jonathan Holcombe and Hannah Everest. Caleb Benton Holcombe died in 1862. Horace Loomis Holcombe was born on 7 November 1808 at Warren Co., OH. He was the son of Dr. Jonathan Holcombe and Hannah Everest. Horace Loomis Holcombe married Mary Ann Murray on 13 June 1833. Horace Loomis Holcombe married Mary Ann Bowlby on 7 August 1842. [S25] Hannah McPherson, Holcombe Genealogy, Page 196.1/Item A-8-3-3-1-5-10. Mary Ann Murray was born on 23 July 1813 at Athens, Bradford Co., PA. She married Horace Loomis Holcombe, son of Dr. Jonathan Holcombe and Hannah Everest, on 13 June 1833. Mary Ann Murray died on 29 October 1834 at age 21. Mary Ann Bowlby was born in April 1823 at Sussex Co., NY. She married Horace Loomis Holcombe, son of Dr. Jonathan Holcombe and Hannah Everest, on 7 August 1842. Lucy Everest Holcombe was born on 17 April 1810. She was the daughter of Dr. Jonathan Holcombe and Hannah Everest. Lucy Everest Holcombe died on 5 September 1816 at age 6. Olive L. Holcombe was born on 28 April 1812. She was the daughter of Dr. Jonathan Holcombe and Hannah Everest. Olive L. Holcombe died on 10 March 1814 at Glens Falls, Warren Co., NY, at age 1. Enlisted at the age of 13, as waiter or drummer boy in his Uncle, Capt. Michael Holcomb's Co., at Sheffield, 3-4-1777; then served 8 months as clerk in Stephen Pearl's Co. (Col. John Fellows). Later he became a private in Capt. Enoch Noble's Co., Col. John Ashley, Jr.'s (Berkshire Co.) Regiment. [S23] Jesse Seaver, The Holcomb(e) Genealogy, Page 65-68. [S25] Hannah McPherson, Holcombe Genealogy, Page 196.1/Item A-8-3-3-1-6. Was in War of 1812. Richard Holcombe was born on 13 April 1769 at Sheffield, MA. He was the son of Jonathan Holcombe and Abigail Hillyer. Richard Holcombe died in 1812 at Plattsburg, NY. Pliny only appears in Weir. Pliny Holcombe was the son of Jonathan Holcombe and Abigail Hillyer. While living in Sangamon Co., Ill, Alonzo was well acquainted with Abraham Lincoln as a young man. He was a man of more than ordinary intelligence and exceptional education for his time; farmer; merchant and business man; held several public offices; his acumen and advice were greatly respected by his associates. Rep; Anti-Slaver; school teacher. Alonzo and Lucy were enumerated in the 1870 Topeka, Shawnee Co., KS federal census, 2nd Ward, page 4. They were in the household of their daughter and son-iin-law, William Curry. Son Henry C., a bookkeeper age 29 was living with them. [S25] Hannah McPherson, Holcombe Genealogy, Page 196.1/Item A-8-3-3-1-6-1. [S546] Hillyer G. Norment, John Hillyer, Page 122. [S546] Hillyer G. Norment, John Hillyer, Page 118. [S25] Hannah McPherson, Holcombe Genealogy, Page 197.2, Item A-8-3-3-2. [S546] Hillyer G. Norment, John Hillyer, Page 123. [S546] Hillyer G. Norment, John Hillyer, Page 117. [S546] Hillyer G. Norment, John Hillyer, Page 115.